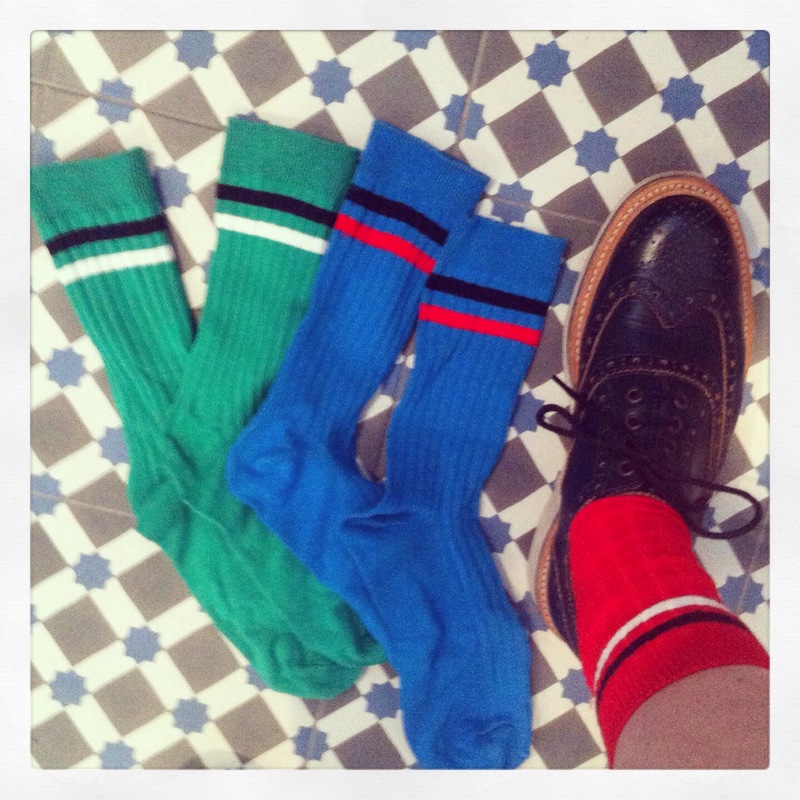 Regular readers of EnBrogue will know I am a BIG fan of the snazzy sock, and yesterday I hit the shops to stock up on some new season pairs. 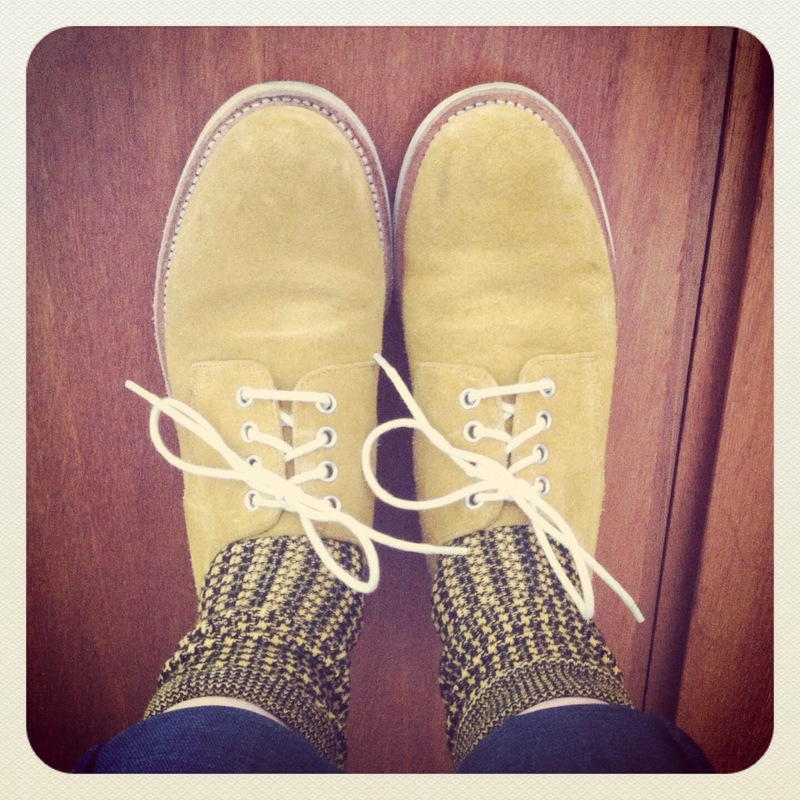 Socks are a hot trend for SS14, which means there are some much cooler designs available than normal. It’s a quick, cheap and easy way of updating an old pair of shoes, so even if you’re not up for wearing ankle socks and flat shoes with a skirt, you can at least turn up your jeans and show a bit of colour! Here are my favourite pairs for a bit of inspiration. 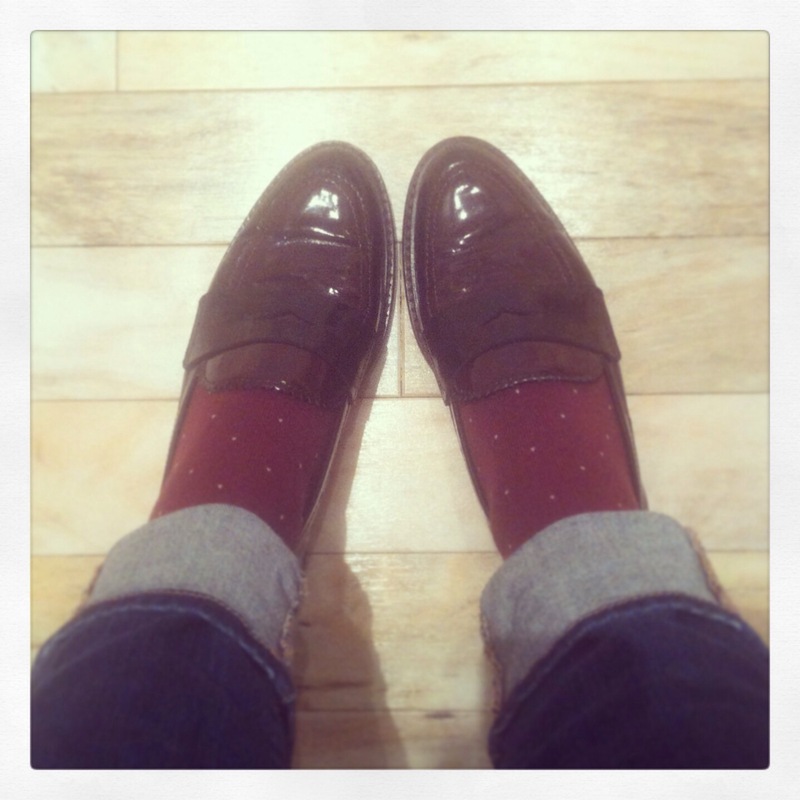 Love love LOVE this first pair from Topshop (with Grenson shoes) because of their retro masculine vibe. They’re part of a ‘3 pairs for £8’ deal, or are £3.50 per pair. I like them so much I also bought them in grey. If you don’t live in London, you might not have discovered & Other Stories yet (sister store to H&M and COS) but the website is great so check it out. 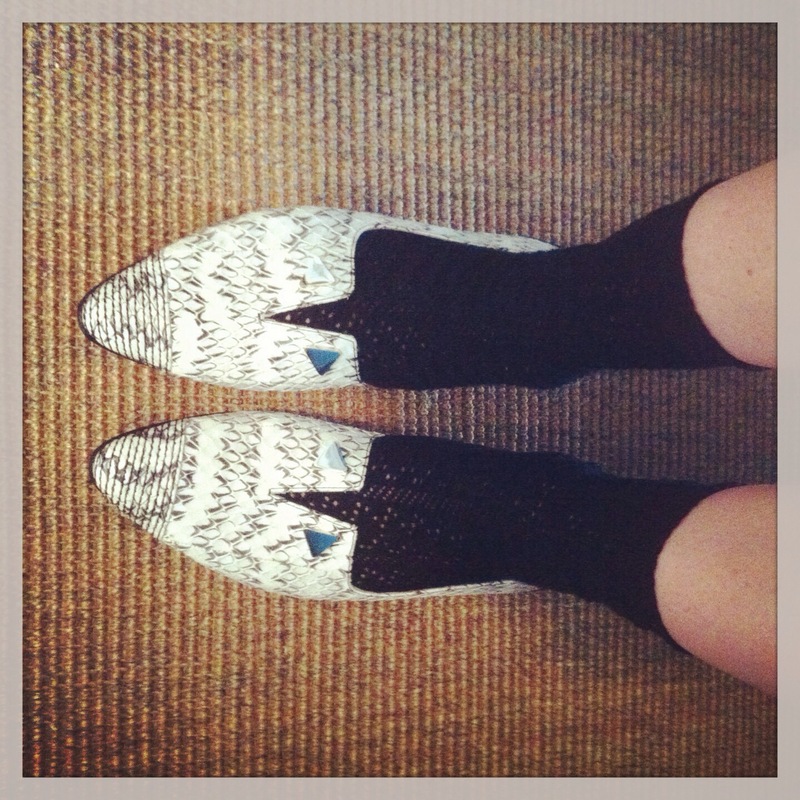 These crochet socks (£5) are really handy at this time of year for shoes like these by 10 Crosby Derek Lam that you would usually wear with bare ankles. Normal black socks would look weird, but these pretty ones are just right. Unlike & Other Stories, Muji’s website is hopeless, but it has plenty of stores so hopefully you’ll be able to track one down as its socks are excellent. They are really good quality and are around £4.50 per pair. 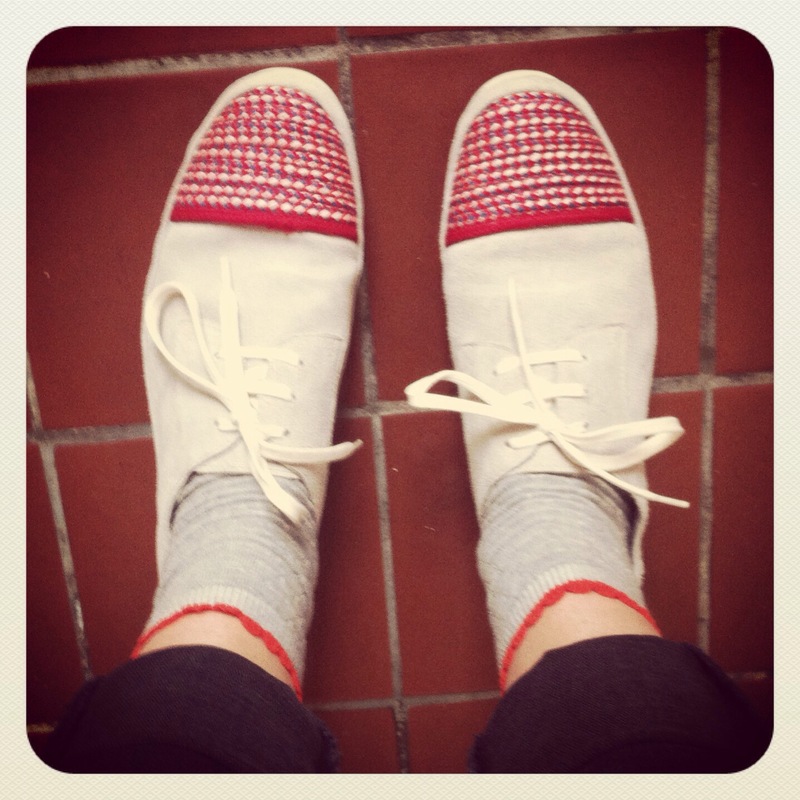 As well as this spotty pair (worn with NW3 Hobbs loafers) it has a great selection of subtle Argyle designs too. Back to & Other Stories now, and these cute neon trim socks (worn with Folk sneakers) come in a two-pack for £5 (the other pair is darker grey with yellow trim). They add a feminine touch to your casual trainers. Finally, the most fashion-forward of the bunch. Prada’s SS14 collection was littered with footless knee-high hockey socks but Topshop has put a more wearable spin on the look with these ankle socks. Die-hard fashionistas will be teaming them with skirts and this season’s chunky sandals (more on those soon), but I’ll stick to my Grenson brogues I think.